Imagine if your son or daughter had support from Yamaha Motor Europe from a young age. Imagine if they had the chance to ride and learn from some of the fastest motocross riders in the world. Imagine if they were able to race at the Monster Energy Motocross of Nations. Could you imagine? The reality of this dream is closer than you think! If your child rides a YZ65, YZ85 or YZ125 in one of the approved national championships across Europe, the YZ bLU cRU FIM Europe Cup is the platform for you. What is the YZ bLU cRU FIM Europe Cup? In 2015 Yamaha Motor Europe introduced the YZ125 bLU cRU Cup offering young motocross riders the best opportunity to find their feet in the world of professional racing. Following its instant success and as a result of the positive feedback and enthusiasm surrounding the all-new YZ65 and updated YZ85, Yamaha felt it was time to expand the program to include a similar opportunity for kids that ride YZ65 or YZ85’s in their national championships. The philosophy for all three YZ Cup categories, YZ125, YZ85, and YZ65 matches that of FIM Europe’s youth program ‘MXGP academy’ where an emphasis is placed on rider education and sportsmanship. Consequently, an alliance was formed and as of 2019 the name of the YZ bLU cRU Cup has changed to include its new partner. Now with three classes, three talented youngsters have a chance at becoming a supported Yamaha rider in 2020. And there is still time to enter! If your son or daughter rides a YZ125, YZ85 or YZ65 in one of the approved national championships, they’re eligible to join the bLU cRU. Forty riders from each class will win a place on the gate at the 2019 bLU cRU FIM Europe Cup SuperFinale that will take place at the biggest and most prestigious motocross event of the year, the Monster Energy FIM Motocross of Nations in Assen, The Netherlands. 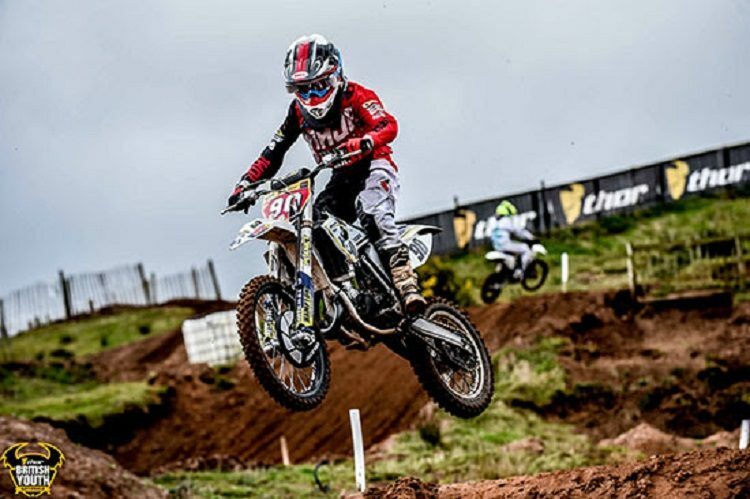 There, the top three finishers in each class will be joined by two carefully selected wild card riders at the bLU cRU Masterclass, which will be held at another location near the end of the year. The bLU cRU Masterclass is an event specifically designed to give young riders a taste of what the racing world can throw at them. It is also the place where they will receive expert tuition from Yamaha Racing’s bLU cRU ambassadors. There, they’ll compete, learn, grow and develop over the three days of intense training. At the end of the Masterclass, one YZ125 rider will be selected to compete in the 2020 EMX125 Championship for a Yamaha Motor Europe N.V. supported team, and the 65 and 85 riders will receive added support for the 2020 season. If you want to give your child the best shot at taking his or her riding to the next level, now is the time to enter. Entries close February 28th, so get in quick to secure a place inside the bLU cRU! For more information and/or to enter, click here.